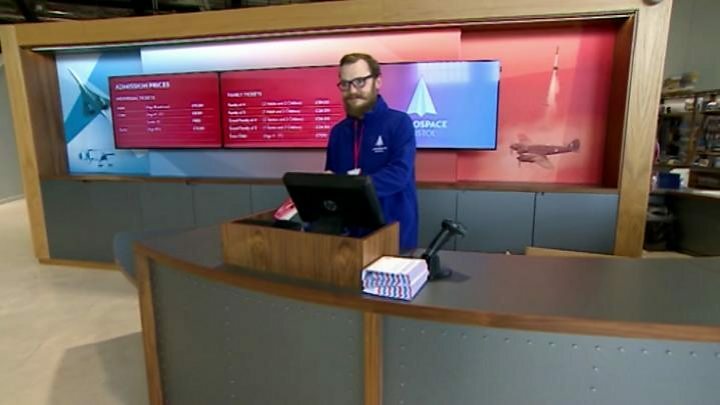 A new museum, which is home to the last Concorde aircraft to fly, has opened to the public for the first time. On display at Aerospace Bristol is Concorde Alpha Foxtrot. which made its final flight into Filton Airfield in November 2003. 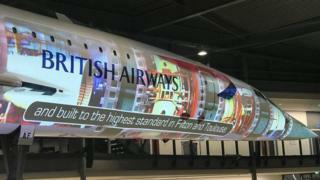 The aircraft is on show in a purpose-built hangar at the £19m attraction. Other items in the collection are housed in a 100-year-old Grade II listed building, where aircraft were built in World War One. Exhibits include historic aeroplanes, replica aircraft, engines and aircraft memorabilia. The museum's Lloyd Burnell said: "Concorde, as always, has the power to amaze and looks just stunning in her new home. "We have created a first-class exhibition to tell the story of Bristol's aerospace achievements from 1910 to the modern day." Filton was where all 10 UK-built Concordes were assembled. Concorde Alpha Foxtrot was the last to be built, and first flew in 1979. Until the new museum opened it had been kept outside at Filton. How vital is it to get a roof over the Filton Concorde?